Vicki J. 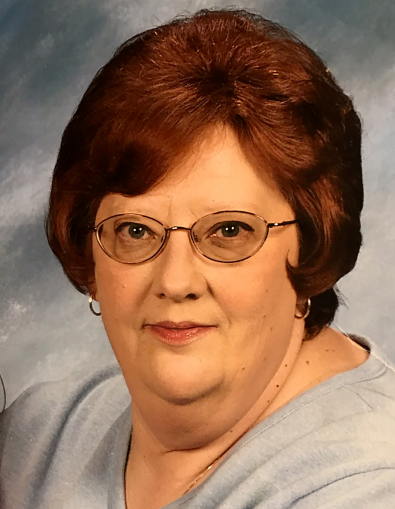 (Strickler) Long, 68, of Decatur, Indiana, passed away on Saturday, January 19, 2019 at Adams Woodcrest. She was born on May 27, 1950, in Decatur, the daughter of the late Robert G. and Ruth (Hammond) Strickler. She was a 1968 graduate of Bellmont High School and then began working for the Decatur Telephone Company in 1969 as an operator. Vicki was employed there when the company was bought by Sprint and transferred to Lima, OH, eventually retiring in 1999 after 30 years of service. Vicki was a member of Decatur Church of God and a former member of the Church of God in Lima, OH. She is survived by 2 brothers, Robert A. (Mary) Strickler of Decatur and Roger K. (Carol) Strickler of Huntington; a sister, Carolyn S. (Joseph) Ditto of Laguna Niguel, CA; a brother-in-law, Riley Vian of Ft. Wayne; a granddaughter, Mia Wasson of Lima, OH; numerous nieces and nephews. A Memorial Service will be held at 1:00 p.m. on Wednesday, January 23, 2019 at Haggard-Sefton-Hirschy & Zelt Funeral Home, with visitation 2 hours prior from 11:00 a.m. – 1:00 p.m. Officiating will be Chaplain John Follett and inurnment will take place in the Decatur Cemetery at a later date. Memorials may be made to Juvenile Diabetes Research Foundation or the Humane Society.